Hi! My name is Mary Ann. I enjoy tutoring young people and adults in math and Cantonese or Mandarin Chinese. I'm a fun and effective tutor, trying to make math and Chinese easy to understand and fun to learn. I'm a native Chinese speaker, and I studied Chinese for fifteen years before I moved to the U.S. When I was a student at the University of Washington for my B.A. 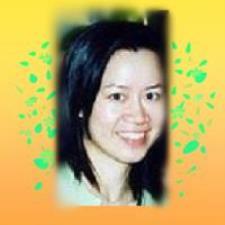 degree, I worked part-time in many hospitals as a Certified Cantonese and Mandarin Chinese Medical Interpreter. I was also tutoring young kids and adults in math and Chinese. Sometimes I volunteered in the Chinese elderly center teaching ESL (English as a Second Language). I've been in the U.S. for over fifteen years, so I'm fluent in English. I'm friendly and patient. Although Chinese is a complicated language to speak and write, I always try to make it fun and easy to learn. I tutor math in the same way, trying to make math interesting. If you don't understand something, I can simplify it until you get it. With my experience in teaching math and Chinese, I believe you will enjoy learning any subject with my help. Thanks in advance for considering me! Mary Ann hasn’t set a schedule. I enjoy teaching general computer. I have a programming certificate and worked as a software engineer and web developer before. I can simplify the general computer terms for you, making them easier to understand and more interesting to learn. I'm a native Cantonese and Mandarin Chinese speaker. I'd studied Chinese for over ten years, before I moved to the U.S. I graduated from University of Washington with a B.A. degree in business. So I'm fluent in English as well. I'm experienced in teaching both Cantonese and Mandarin Chinese, making it fun but easy to understand. I enjoy tutoring elementary school students in math and other subjects, trying to make the subject fun and easy to learn. I've helped many students improve their grades. If you don't understand something, such as a math problem, I can simplify it until you get it and solve it all by yourself. I was a student at the University of Washington for my B.A. degree. I enjoy tutoring math. I've helped many elementary school students with their math, trying to make it fun and easy to learn. If you don't understand something or can't solve a math problem, I can simplify it until you get it and solve it all by yourself. I enjoy tutoring a variety of subjects, including math, Chinese and ESL English. I always try to make it easy and fun to learn. I've helped many students improve their grades and study skills with my experience. If you don't understand something, such as a math problem, I can simplify it until you get it and solve it all by yourself. I enjoy tutoring Algebra 1, trying to make it interesting and easy to learn. I've helped many students with their math and improved their grades. If you don't understand something or can't solve an algebra problem, I can simplify it until you get it and solve it all by yourself. I enjoy tutoring Algebra 2, trying to make it interesting and easy to learn. With my years of tutoring experience, I've helped many students improve their math grades. If you don't understand something or can't solve a math problem, I can simplify it until you get it and solve it all by yourself. I'd always like to make geometry interesting and easy to learn. I've helped many students in math and improved their grades. If you don't understand something or can't solve a problem, I can simplify it until you get it and solve it all by yourself. I enjoy tutoring math. I've helped many students with their math, trying to make it fun and easy to learn. If you don't understand something or can't solve a math problem, I can simplify it until you get it and solve it all by yourself. I have a B.A. degree from University of Washington and years of experience in tutoring math. Precalculus is a subject that could be confusing for many students. Therefore, I always try to simplify it, making it easier for students to understand and learn. With this method, I've helped many students improve their math grades. I like to help high school students prepare SAT math, making sure that they understand everything and are well-prepared before the test. With my years of tutoring experience, I've helped many students improve their math scores. If you are not sure about something or can't solve a math problem, I can simplify it so that you can understand it well and solve the problem all by yourself. Trigonometry could be challenging for some people, so I always try to make it easy to understand and fun to learn. I've helped many students improve their grades in trigonometry. If you don't understand something or can't solve a problem, I can simplify it until you get it and solve it all by yourself. Mary Ann is the best tutor my son has worked with. She is well trained, intelligent, and inspirational. Mary Ann knows how to motivate and ask for my son's best effort, but she is also patient and understanding of his learning style and needs, Mary Ann is completely reliable and thoroughly professional, and at the same time she is considerate and friendly. My son and I have the utmost respect for Mary Ann and recommend her to the highest degree possible. I am a former school principal and have worked with and evaluated many teachers; both as an educational professional and as a parent I give Mary Ann the highest rating possible -- 100 out of 100. First hour pre-cal with Mary Ann was effective. My daughter said Mary Ann was right on the details and explained it very well, makes it not difficult as it was. Thank you Mary Ann. Explains well and patient!! She knew what to do and how she explained it well and consist. She gave good techniques where I understood it much better. When Mary first came to help me, I was doing pretty poorly in Algebra 2. By the end of the year, with her help, my math grade had gone up by two letter grades. Even when I was seriously struggling with a topic, she was always super patient and helped me understand what I was missing. If I could give 6 stars I would! I highly recommend! Mary Ann is very helpful and takes the time to explain things that you need to know. I did more practice in basic Algebra, than what I expected. I look forward to having her from time to time during my studies with math. No longer a math hater! Thanks to Mary Ann, my daughter in Honors Algebra no longer hates math. Doesn't love it, but so happy she doesn't hate it! Her confidence is back after just a couple of sessions. Mary Ann is great with our daughter. She gives her the tools to learn and then do it on her own. She answers emails right away and is very easy to work with. Flexible and attentive teacher. Focuses on what I need to to learn, adjusting her style and what we cover dynamically rather than a rote way of teaching. Mary Ann has been helping my 9th grade daughter with geometry now for the past few months. She has a gentle, patient, approachable personality and style that I believe would put most students at ease. She is professional, consistently dependable, polite and always arrives on time and prepared to begin instruction at whatever point my daughter's needs dictate. She provides follow up both before and after each session - keeping lines of communication open. My daughter's test scores and overall class grades have definitely improved since we began meeting with Mary Ann. The personalized math help has made the difference. I am happy to recommend Mary Ann as an excellent tutor!